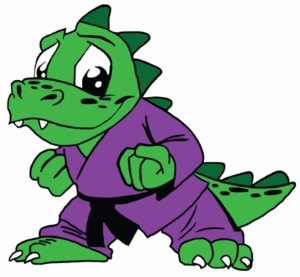 In our Bromley school we have our Lil’ Dragons Martial Arts Program! This gives an opportunity for your Child to build Confidence by setting age appropriate goals, specifically designed for the ages of 3-5 years. Our classes will accelerate their development in areas such as Coordination, Balance, Memory, Focus and much more! They will also be learning life skills such as Cooperation, Team Work, and Helping Others. In addition, they will be building on their social skills to improve their relationships among their peers and develop a trust and respect for children, adults, and themselves. As well as covering basic skills in Martial Arts and techniques that are suitable for this age group, our emphasis is geared towards creating a well rounded Confident, Athletic, and Outgoing young person, so that when they start full time school they are leaders not followers. We offer FREE TASTER SESSIONS so your Child can have Fun in our classes, start gaining the benefits from them, and gives all parents the opportunity to meet our team and discuss what you want your Child to achieve with us!